Your current business applications are costing you time, money and resources, not to mention the negative impact to your productivity. You've heard about tens of thousands of companies like yours flocking to cloud computing and gaining flexibility, productivity, efficiency, accessibility and cost-savings. But how do you avoid costly mistakes? Why the Web has shifted the power to the buyer and, most importantly, how you can leverage that power during vendor selection and contract negotiation. Why Service Level Agreements are key to a successful vendor relationship and what you need to understand to set expectations, guarantee performance and reduce risk. 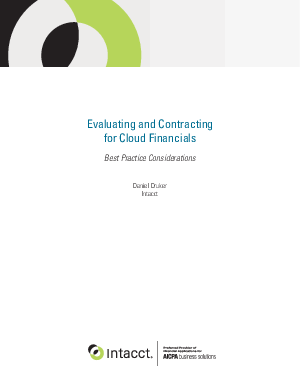 How to think about the ROI of cloud computing versus on-premises solutions. When done accurately, the numbers speak for themselves.